Thinking About Buying A Home in Hanover, PA? There is a lot to know before you buy a home. In addition to finding the right home, you have to make sure that it is in the right neighborhood and close to everything that you need to enjoy life. 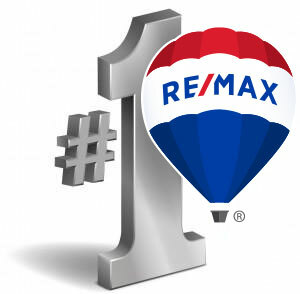 When you contact RE/MAX Quality Service Inc., you will be put in touch with a real estate agent who has the information that you need to make the best decision for your situation. No matter what your timeline may be, you shouldn't buy the first house that fits within your budget. Instead, you should take some time to look at available community information to make sure that you are in a neighborhood or part of town where you will feel comfortable. Those who enjoy a quieter lifestyle probably won't want to live close to a highway or close to a major metropolitan area. However, those who like the big city or like to have a short commute to work may want to avoid living on a farm or living in a more rural part of town. Working with your agent, you will find the right house in a community that you will be proud to become part of. Working with an agent will make it possible to get updates on homes for sale in your preferred area and within your budget. When shopping for a home, it may be a good idea to have a relatively flexible budget as well as a flexible target area. While there is nothing wrong with wanting to spend $100,000 or live in a specific neighborhood, you may find that your dream home is in the next neighborhood over or that your dream home can be yours for an extra $5,000 or $10,000. Your agent will be able to help you determine your wants as opposed to your needs in an effort to refine your home search and develop a realistic budget. Your agent will have access to featured listings that you can peruse at your convenience at home, at work or on the plane to your business trip as long as you have an internet connection. With access to listings as soon as they come on the market, you can schedule showings, make offers and otherwise express your interest before others know that the home is available. If there are other offers, you can get a feel for the competition ahead of time, which may be helpful in crafting an offer that a seller will accept regardless of how many other options he or she may have. What Else Can Your Agent Do For You? Your agent will have a variety of buyers resources that you can use to make an educated decision regarding your next purchase. For instance, you can learn more about how property taxes, interest and other costs impact your ability to buy a home. You will also learn more about how to negotiate with a seller and craft an offer that will be taken seriously. The more you know about the home buying process, the easier it is to get the purchase process started and finished in a timely manner. If you are ready to buy a home, it is important that you work with an agent who can represent your best interests from start to finish. When you have a trusted ally and someone who has a wealth of knowledge and experience to draw from, you can feel good about the home buying process and get what you need at a price that you can afford. My Home Tracker - Want to get emails showing all the new homes for sale that meet your needs? Sign up for the free My Home Tracker today and you'll get results sent straight to your inbox!